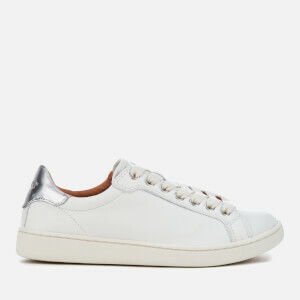 White ‘Clean 90’ trainers from Axel Arigato. Designed with a minimal silhouette, the women’s sneakers are handcrafted from smooth leather. 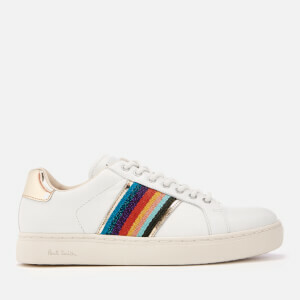 The trainers are detailed with colourful bee-eater bird embroidery and a gold-tone foil logo stamp on the vamp. The trainers sit on a tonal rubber cup sole which has been stitched and glued for increased durability. Fitted with a cushioned footbed and arch support for long lasting comfort. Includes a branded dustbag and chopsticks. Upper: Leather. Lining: Calf Leather. Sole: Rubber.